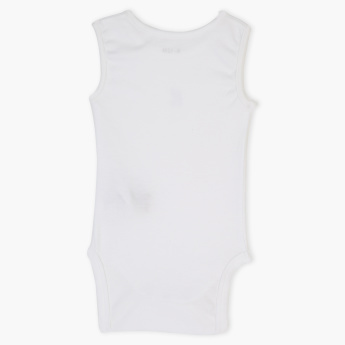 Soft and comfortable, this set of five sleeveless bodysuits will keep your little one at ease all day long. Crafted from best fabric, this bodysuit is gentle against your child’s skin. Features : Made of pure cotton for baby soft and delicate skin.